Not sure of what to get for your friends and family members with a discerning taste in film this holiday season? 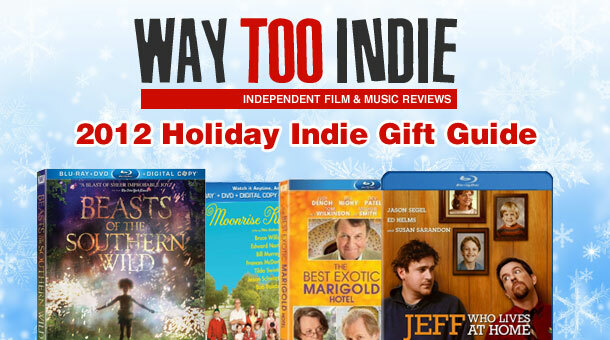 Look no further than our 2012 Holiday Indie Gift Guide! We have picked out titles that will be sure to cover everyone on your Christmas list. We even helped you out by suggesting exactly who to get the films for. Teeming with magic, beauty and pure joy, this crowd-pleasing winner at the Sundance Film Festival has emerged as one of the year’s most acclaimed films. 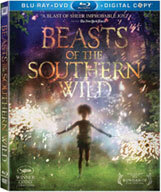 This poetic fairy tale told through the point of view of a child’s imagination (Quvenzhane Wallis) named Hushpuppy who has unflinching determination to find her place in the world. When her tough but loving father Wink (Dwight Henry) succumbs to a mysterious malady, the fierce and determined girl bravely sets out on a journey to the outside world. But Hushpuppy’s quest is hindered by a “busted” universe that melts the ice caps and unleashes an army of prehistoric beasts. 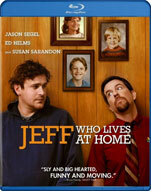 The synopsis of Jeff, Who Lives at Home is a rather powerful yet whimsical one; it is about believing that things in life happen for a reason as well as bonding with your family. However, the film had just the right amount of laugh out loud moments combined with the right amount of emotional scenes. Achieving that level of balance along with making the film full of heart is something that is rarely done this well. The Duplass brothers make it worth being passionate about films. This offbeat romantic comedy about looking finding yourself in a complicated world and is told from an unapologetic single woman’s point of view. When 29-year-old Lola (Greta Gerwig) is dumped by her fiancé Luke (Joel Kinnaman) just three weeks before the wedding, she embarks on an emotional, year-long adventure of self-discovery filled with love, loss, hilarity and heartache. Guided (and often misguided) by the well-meaning advice of her close friends and eccentric parents, Lola’s chaotic journey en route to the big 3-0 proves that a single tumultuous year can yield the lessons of a lifetime. From the directors of Little Miss Sunshine comes a pleasantly suprising romantic comedy starring Paul Dano and writer-actress Zoe Kazan. Struggling with writer’s block and a lackluster love life, once-famous novelist Calvin (Dano) creates a beautiful fictitious character named Ruby (Kazan) who inspires him. But not only does this bring his work to life- it also brings Ruby to life- literally! Face-to-face with an actual relationship with his once virtual girlfriend, Calvin must now decide whether to pen this love story or let it write itself. Moonrise Kingdom is unmistakably a Wes Anderson film. It features presumptuous children who seem to be more intelligent and mature than the adults and a simple but whimsical storyline that is completely overshadowed by its presentation. Everything is exaggerated and deadpan humor is in abundance. 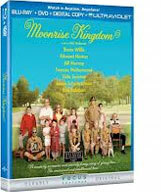 That is what often makes his films so fascinating to watch and Moonrise Kingdom is no exception. It is a fun adventurous fantasy that only he is able to create. 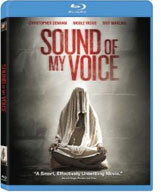 Brit Marling is amazing in a film that is one of the most captivating opening 10 mintues that I have seen in years. A filmmaker (Christopher Denham) and his girlfriend (Nicole Vicius) set out to expose the beautiful leader of a cult (Marling), who claims to be from the future. But the more they explore, the more danger they face in this “an intricate and taut thriller” from writer-actress Marling and writer-director Zal Batmanglij. It is easy to see why it is a hit for the targeted audience because it has a great veteran cast who are about to embark on a journey they never expected in retirement. When seven cash-strapped seniors decide to “outsource” their retirement to a resort in far-off India, friendship and romance blossom in the most unexpected ways. The film is largely about adapting to new circumstances and learning to trust from places and people you would not expect to. Who to get it for: Yourself! 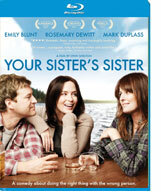 If you read just the synopsis of Your Sister’s Sister you will most likely think a typical sitcom is in store. Instead, the film is more of an intelligent romantic comedy featuring terrific characters in a very honest manner. It is an excellent example of how wonderful improvisational dialog can be when you have the right cast members and director. To cap it all off, instead of opting for a safe ending Lynn Shelton gives us an ending that fit perfectly with the rest of the film.